This is your chance to see a mountain from another perspective. 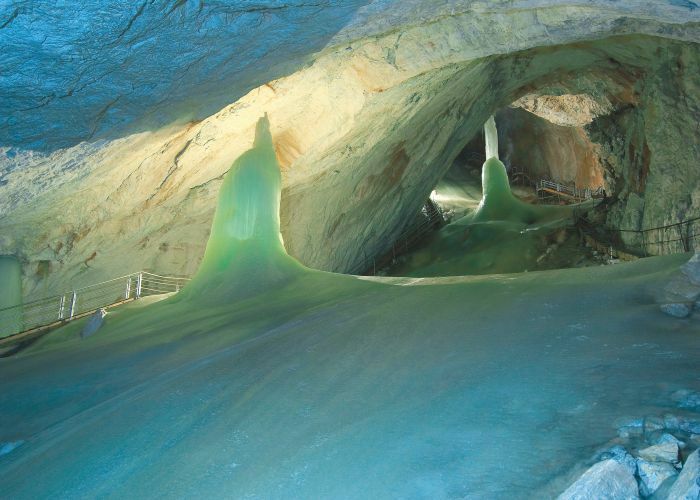 Discover the colours and ice formations within the mountain! 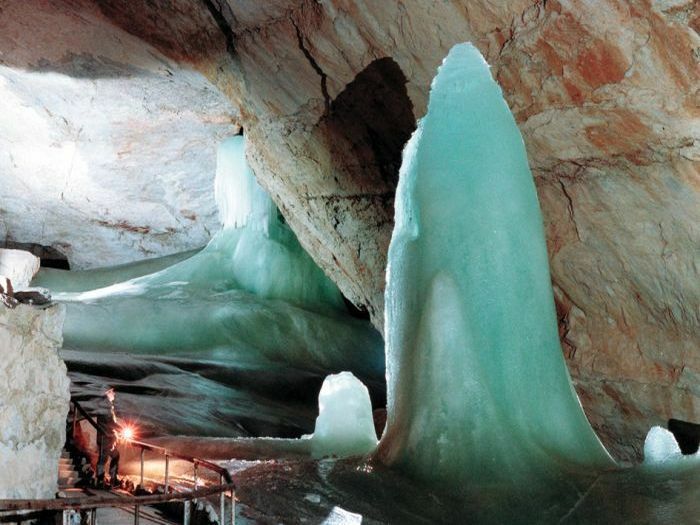 Crystal clear formations on a palatial scale, which can be seen both in winter and in summer. The whole underground system of caves covers impressive 42 km. 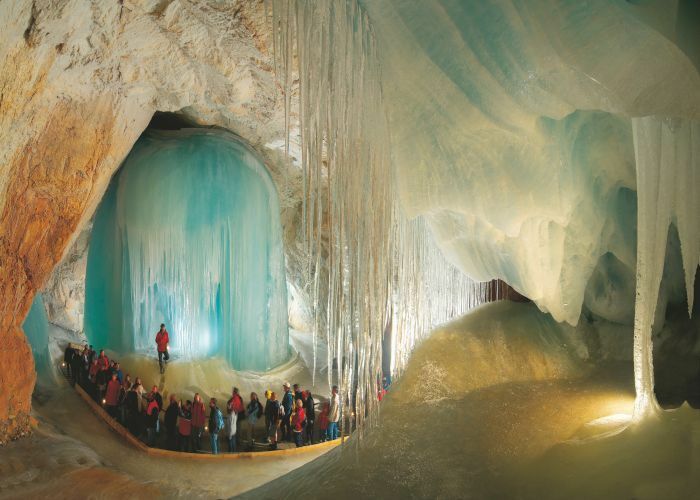 In particular it is the first kilometre which stuns visitors with gigantic ice formations. This is the most accessible part of the public exhibition section which visitors can see by means of guided tours. Do not miss the opportunity to see the fantastic interaction of light and colours in these imposing ice formations! Heavy shoes and warm clothing are recommended. Even in summer the temperature is usually below freezing.